A sunny Sunday in June. Graduation morning. I awoke in my dorm room’s extra-long twin bed for the last time. 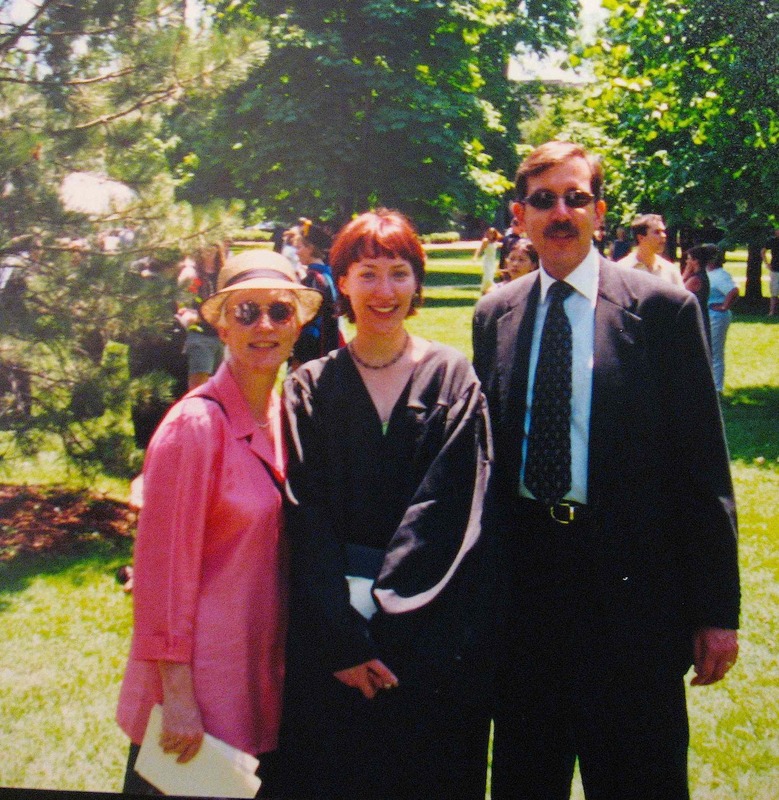 The day before had been a whirlwind of packing up my meager quarters with my parents, throwing everything except my graduation dress and black gown into boxes and garbage bags and cramming them into the family minivan. I got up, rubbed my party-groggy eyes, and got dressed. I looked great — accomplished, distinguished… and capless. I scrambled around looking for my mortarboard, but it had clearly disappeared into the Great Packed Beyond. There was no time to dig through the van or fashion a decoy from a cereal box and shoe polish, so I accepted fate and joined my classmates assembled on the Main Hall lawn. Family and friends sat waiting in folding chairs, the band struck up the processional, and about 300 of us marched to our seats in front of the stage. My lone bare head drew stares from everyone. At least I could blame my red cheeks on the heat. During the commencement address, I managed to work out a short-term loan from a girl sitting one row in front of me and borrowed her cap for my diploma acceptance and strut across stage. Back in my seat, I returned it and could feel hundreds of sets of eyes on me yet again. After the ceremony, I was prepared to be screamed at by the university president or escorted off the campus by the tradition police, but instead strangers from the crowd started coming up to me. “Right on!” they said. And “Awesome statement on individuality!” And “Was that a commentary on the value of higher education?” Two hours of embarrassment quickly morphed into the feeling of cool celebrity. I was a rebel. A rebel without a cap. Click here for another story by Anna! Haha, you rule-breaking trend-setter you! Love the college pic, Anna. So cute! What a cute story. Rock on, rebel! Those hats are uncomfortable anyway! You go!